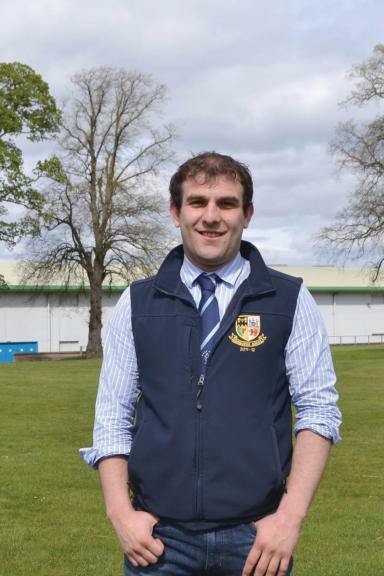 With a raft of career options available in agriculture, the Scottish Association of Young Farmers’ Clubs (SAYFC) has dedicated some Government funding to share its rich diversity. Farmers Guardian reports. 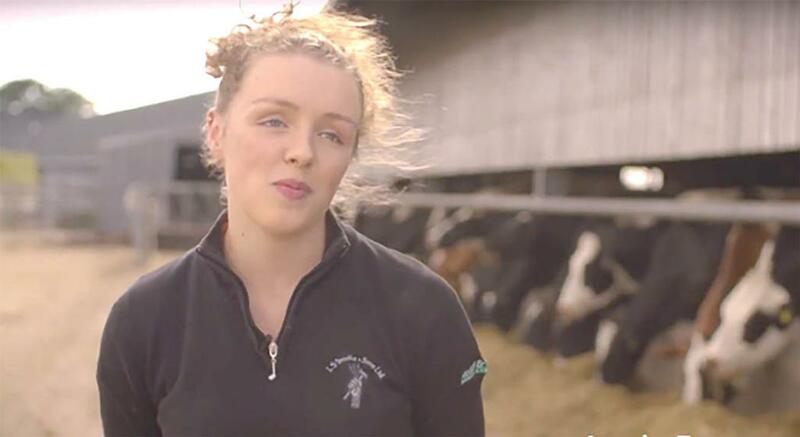 The Scottish Association of Young Farmers’ Clubs (SAYFC) has recently created a series of online videos in a bid to highlight a broad range of agricultural and rural careers. Designed to capture the rewards available to smart, ambitious young people, they explore the personal journeys of 16 young professionals into their chosen careers. Clare Sturla, SAYFC’s agri and rural affairs manager, says this comes at a crucial time when there is a real need to encourage the next generation of farmers into the industry. “Children and young people need to be made aware of the many careers that can be pursued and the various routes that can be taken to get there,” she says. “We are especially keen to highlight the skills and expertise that is abundant in the agricultural sector, which often goes unacknowledged. 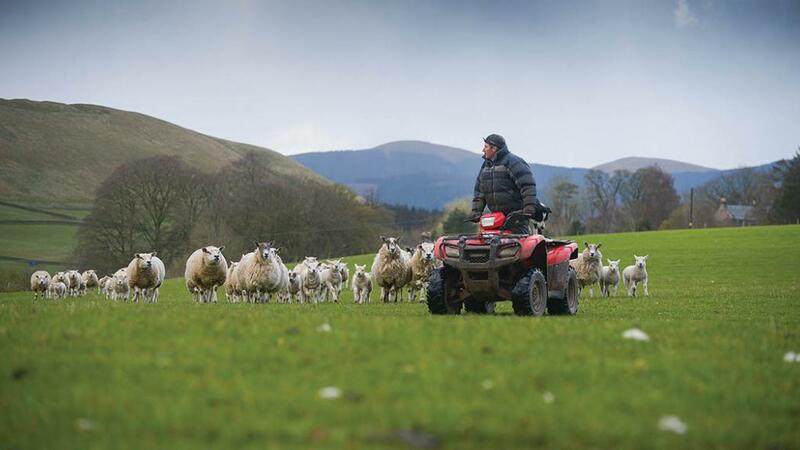 The organisation received £20,000 funding from the Scottish Government in October 2016 to promote careers in agriculture. “Using videos allows for a better understanding of the working environment, actually seeing the participants in action. Using a visual tool offers far greater detail than text alone,” adds Ms Sturla. Below we speak to three members who tell us more about their roles. What was your path into this job? My father was a farm manager. I loved farming from a young age, so I’m following in his footsteps. I studied for a degree in rural business management with agriculture at the Scottish Agricultural College, Edinburgh. Then I moved down to Shropshire where I got my foot on the ladder as an assistant manager. The best way in is through an assistant farm manager role. What does your work entail? We’ve got 607 hectare (1,500 acres) of cereals which we crop ourselves. I’m looking after the crop husbandry and the paperwork, which is a huge part of farming these days. I do all my own spraying and I also drive the combine. It’s great to see the fruits of your labour getting harvested. Other than that, it’s going round keeping the wheels turning for everyone else. Challenges: You are constantly keeping one eye on the weather and the jobs to be done but at the same time controlling costs. The wrong weather at the wrong time can fairly scupper things and we use a lot of contractors and managing them has its own challenges. Likes: Farm management is the closest you will get to running your own farm without actually owning it. For anyone who has not got a farm there’s a career path for you. Every day is different, every season is different and I am working in beautiful countryside. Qualifications: There is no substitute for experience. That said, a degree gives employers confidence that you’ve got knowledge and ability. My business course probably helped me, but if somebody knows you can do it, you might still get an interview. Key attributes: Drive, determination, organisational skills and handling the pressure when weather, costs and prices go against you. You need to be able to pull a good team together. It is about getting the most out of all your inputs, including people. Wage bracket: As a farm manager it is a very wide spectrum, from £40,000-50,000 for a medium-sized fam, to £100,000-plus on large estates. Promotion potential: In this job I’ve probably gone as far as I can and that tends to be the way in farm management. If I was to leave, I’d look at a larger farm or estate. What’s next? I’m lucky, I’m in an outfit that is rapidly growing, changing and investing. I have been here four years and we’ve doubled our acreage. I’m enjoying it and intend to stay for the foreseeable future. 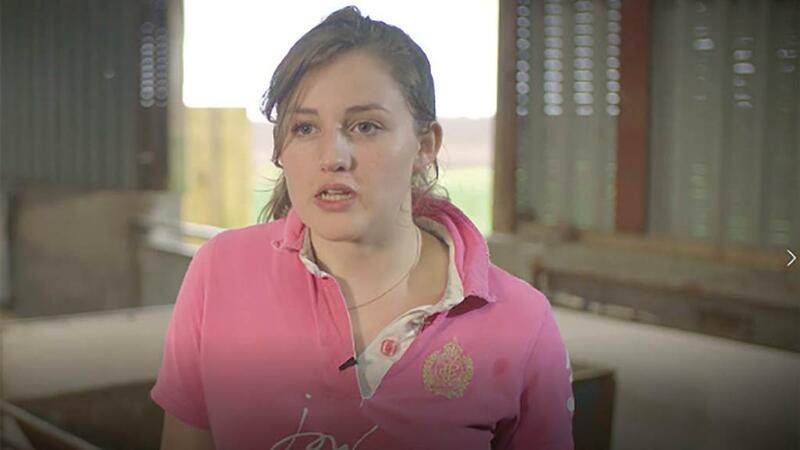 Advice for prospective farm managers: When you are younger, listen and learn. There are often experienced staff. Just because you have read the books and been to university doesn’t mean you know everything. What was your path into this job? I am a dairy farmer’s daughter so I suppose I was born and bred into it. I am also a keen stockjudger and I like to keep involved in the industry in that sense. What does your work entail? I visit a lot of farms, primarily dairy farms. I look at the cows, their milk production and overall condition, assess their diet and alter it for the farm’s requirements. Diet can alter pretty much everything on a dairy farm. It is very important for management purposes to get things right and to make the farm profitable. Challenges: You need to be able to talk to the farmers because sometimes they don’t really want to speak to you. Sometimes being young and female people don’t want to hear your advice. You have got to be confident in what you are saying. Likes: I have thoroughly enjoyed meeting different people, being out and about and being sociable. I do one or two days a week. That’s worked out perfectly because everything I’m learning in the classroom I have been able to put into practice or see it being done, or just ask farmers for their opinion. Qualifications: I study applied animal science covering nutrition, welfare, animal comfort and genetics among other areas. Some people study agriculture, which covers more grassland, fertilisers and seeds. Both offer a route in. Key attributes: Being a people person and being able to get stuck in. I quite often find myself up to my knees in dirt but you just get on with it. Wage bracket: It starts at £20,000-£24,000 depending on qualifications and experience, but there is a lot of room for progression with experience into the mid-30s and beyond. Promotion potential: I have started with a small company but there are companies which cover the UK, Europe and the world. The Government is putting a lot of effort into controlling methane, so there is the possibility for progression in that side of things. And there are developments in yeasts and probiotics, which is interesting. There is a global platform if you are good at what you do. What’s next? I am going to America for three months to work with six or seven companies in 10 different states. I’ll be able to come back and implement and teach some of the stuff I have learned. The company have been very supportive and I wouldn’t see myself going anywhere else for the next five to 10 years. Advice for prospective nutritionists: Get experience on a farm. It is hard to get farmers to take your advice if you haven’t been there and done it. What was your path into this job? It is the family business. I have always been interested. I did four years at Craibstone, SRUC’s Aberdeen campus, where I came out with an honours degree in agriculture, but this is one of those industries where you can come in from a blank and get trained up. What does your work entail? We have got 1,800 sows over two piggeries, from service right through to slaughter. Every day there are pigs being born so a lot of work. Each day animal welfare and husbandry are the priorities. Challenges: Being a women in a male-orientated industry you always get comments, but at the same time some men are very helpful. In the pig industry fluctuating prices can challenge the business. Prices for finished products, imports from countries with lower welfare standards and even food prices all play a part. Likes: Seeing a good end result, nice strong little piglets as they are being born, and of course producing a good Scottish quality product for the country to eat. Qualifications: You don’t need qualifications and you don’t need have to be from a farming background. You can be trained up if you are able to listen, learn and work as part of a team. Key attributes: As well as working as part of a team you need to be able to work under your own initiative. You have to be hardworking and persevere. It is not a nine-to-five job so you need to be willing to work long hours and, of course, have a sense of humour to keep you cheery. Wage bracket: It starts at minimum agriculture wage for a basic stock person job and goes up to £30,000-£40,000 for some management positions, depending on the size of the farm, the employee’s experience and the responsibility. There are associated roles too, such as marketing, veterinary science and selling products from medication to equipment. What next? There are so many aspects to focus on from nutrition to vaccinations, so there is a wide base for me there. Technology is always moving forward. We would like to develop different feeding systems. At the moment we are building another shed for 5,000 pigs so we can fatten all the pigs at home. Advice for prospective pig farmers: Get stuck in. It has its ups and downs but it is rewarding, so make sure you enjoy it.